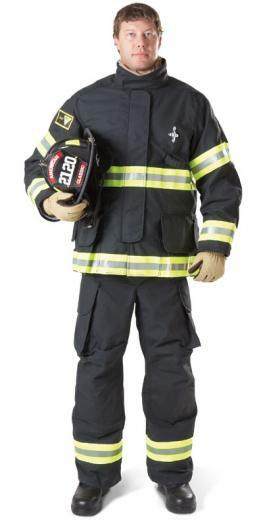 Black Eagle Safety 52 Mid - SOS Safety International Inc. 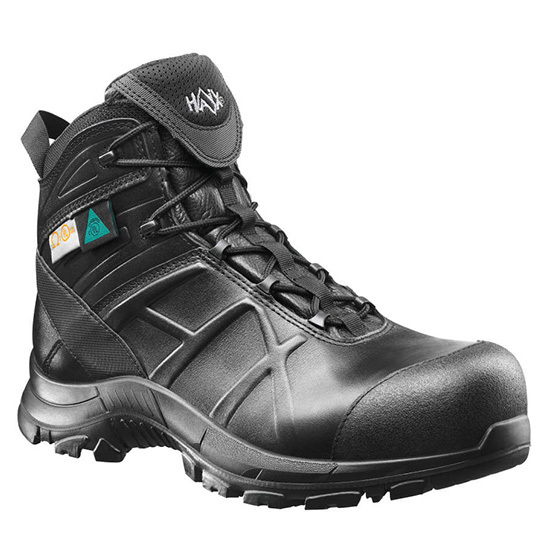 Athletic safety shoe HAIX Black Eagle Safety 52 Mid. ✓CROSSTECH® ✓Composite toe cap ✓Lightest weight ✓Leather ✓Waterproof. HAIX® knows how hard you work. 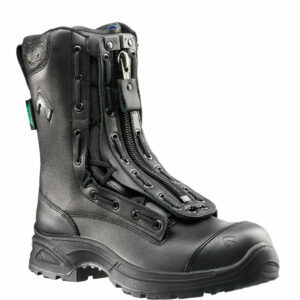 Reward your feet with the Black Eagle Safety 52 Mid Boot. This mid length boot wears like a comfortable shoe while protecting your feet like a shield of armor. Women and men alike will find their perfect size. The Black Eagle leather work boots are slip resistant, whatever the surface you are walking on. At 5.5 inches tall and matches-everything black leather, these shoes are sure to be a winner. As the lightest safety footwear HAIX® produces, this shoe, which works like a boot, will keep you safe, even when working around around electrical hazards. Sizes start at 4.5 and go up to 15; women will be glad to have a safety shoe which offers smaller sizes for them while men with big feet no longer need to feel crammed into boots that are too small. Try the Black Eagle, and watch your results soar. Made with smooth, waterproof leather on the outside, HAIX® Sun Reflect leather helps keep your footwear looking good and feeling cool. Sun protection treated leather ensures that your feet enjoy a cool, comfortable climate even on the inside. Enjoy the ASTM certified carbon composite safety toe cap; your toes will thank you if they ever get in a pinch! Also ASTM rated for electrical hazard resistance in its metal free construction. 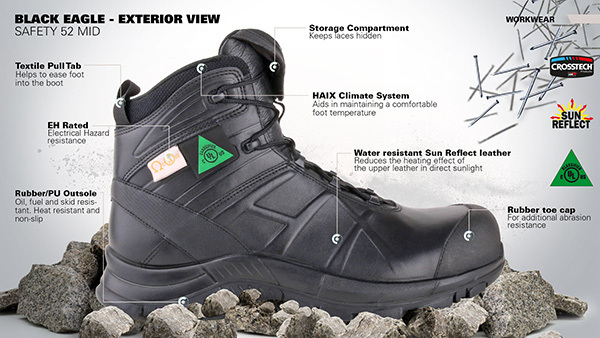 HAIX® Climate System is made for these shoes to provide enough airflow through to avoid uncomfortable moisture and sweat. Helps to maintain the natural temperature balance in your footwear which especially important when having to spend long days on your feet. A storage compartment at the front of the boot keeps laces tucked away and out of sight. A clever rear pull tab at the top of the heel helps you pull these shoes on when you need to get going fast. The HAIX® Black Eagle Safety Boots are designed to cushion and support your feet while providing you with a removable, and washable, antibacterial insole which is cushioned and moisture repellant. Special CROSSTECH® inner lining is blood borne pathogen and chemical resistant. CROSSTECH® has created an insulated liner which is also waterproof and breathable for maximum comfort. The material is moisture wicking to keep you dry under any conditions. The HAIX Secura Liner® is specially designed to never wrinkle up or pull out of the footwear, making wrinkles a memory rather than a problem. On the inside, the built in arch support of the Black Eagle Safety 52 mid hugs your heels and supports your arches to prevent standing fatigue while pronation support in the mid and insole area keeps your ankles from rolling or twisting away from you. 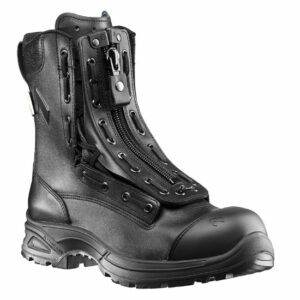 Metal free puncture protection is a standard part of the HAIX® Black Eagle Safety Boot. Designed to be non-marking, the outsole gives you all weather, heel to toe grip and support. Note the tooth like pattern on the outer rubber, made for grip without catching and holding small rocks and other debris. 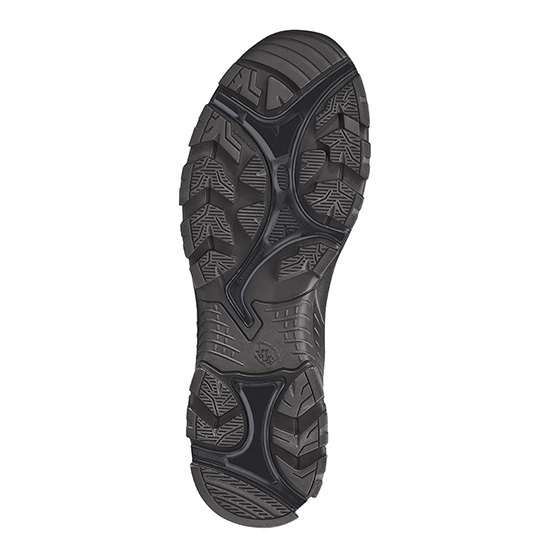 An oil, fuel, and skid resistant rubber/pu outsole keeps you on your toes all day long. The sole on the Black Eagle Safety Boot can be re-treaded as well providing you with many more years of shoe life. With its footwear certifications, HAIX® delivers on the promise of premium footwear for hard-working men and women across the country. 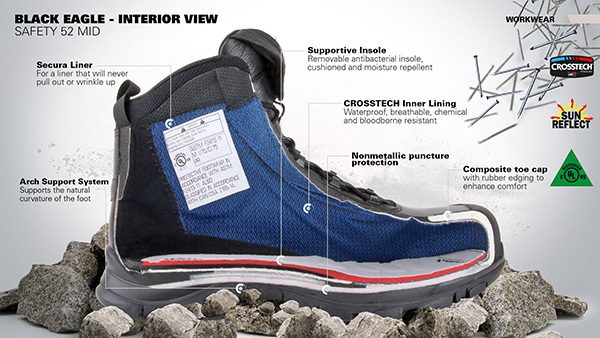 ASTM F 2413-2011 – an international safety boot standard from ASTM. CAN/CSA-Z195-2014 – CSA and Canadian standards for safety and work boots.